In this season, I’m asking myself this: how am I planting seeds of faith and trust? Because I know that when I’m planting and praying with faithfulness, I’m also saying that I believe in the goodness and beauty of tomorrow, because He holds it. This little line in Luke 1:45 has become a source of big hope for me. It’s been just the reminder I’ve needed that the dreams and hopes He’s planted in my heart are in safekeeping with Him. I’ve written this verse on my mirror, so every morning, my heart is reminded of that truth, and every evening, my confidence is encouraged. For the last few months, I’ve been praying for Him to help my unbelief — especially when it comes to my singleness — and He has been faithful to bless me with fresh hope and belief. Choosing to believe takes courage, but thanks to His grace, it’s a choice my heart will always strive to make. Sometimes, we are praying, praying, praying, yearning to hear something — anything — and all we seem to hear or feel is silence. And I’m learning how to press into that quiet and that silence, opening my heart a little more, asking Him to teach me how to rest in it, rather than fight it. This book is one of my sweetest antiquing finds. It’s so tiny and darling, and it even has a woman’s name inscribed inside the front cover. Here’s a snippet from one of the poems inside. I love the lines: Faith is the dreams that all hearts know, the evidence of things that are not seen. I’m thankful that He knows the dreams on my heart and that even when He’s silent, in my faith, I can find Him. I’ve been working through the Songs of Ascent with the She Reads Truth community. This week, we read one of my favorites — Psalm 126. I love the hope present in this Psalm — both in the remembering and in the looking forward. While reading The Message translation, I realized that the Songs of Ascent are also called Pilgrim Songs. I guess I never knew that. But I love it. A pilgrim is a traveler, someone on a journey to a holy place. How fitting, as we are all on our own journeys of faith — each journey sprinkled with seasons of time spent in the desert — just as this Psalm illustrates. What a comfort to know that we can keep our eyes on Him during these desert wanderings, drawing our strength and peace from the knowledge of the faithfulness He has shown us in the past — and the faithfulness we can expect to keep seeing, as we continue to place our trust in Him. Yes, the waiting is hard. And our seasons of life in the desert can seem to stretch out so very long. I have prayers I have prayed for many years, prayers I keep praying, prayers that sometimes test my own trust and faithfulness. But our patience finds faith in the desert. My friend Carmen once wrote a great post on this Psalm, and I love her encouraging words about continuing to hope and plant seeds of faithfulness during our desert seasons. How has your faith grown during your own seasons spent in the desert? If you currently find yourself in such a season, how can I be praying for you, as you continue to plant your own seeds of patience and faithfulness? I want to proclaim His peace. That phrase has been repeating itself in my heart all week. 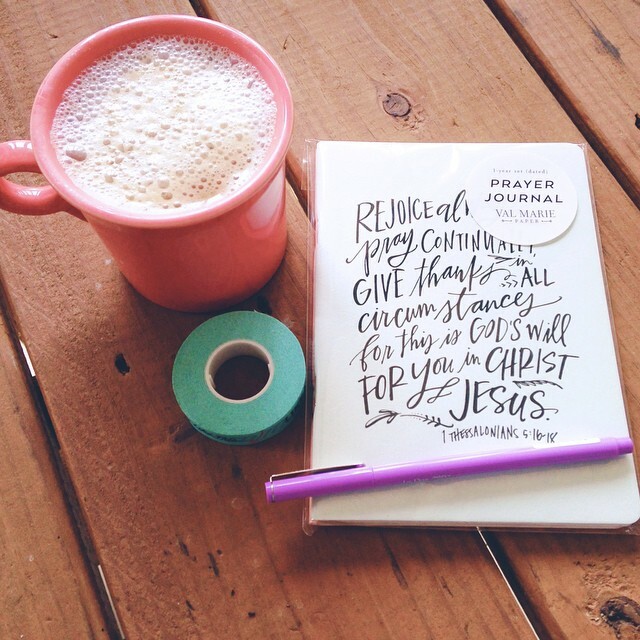 I want to proclaim His peace over myself, over my friends and my family, and over my sweet blog readers. I want to dwell in it, and I want to rest in it — saying no to the fears, doubts, and worries that so often clamor for my attention. It’s hard sometimes, though, isn’t it? Resting in His peace doesn’t always come naturally for me. Sometimes, it seems easier to fret or worry, questioning things, wondering about the future, and playing the “what-if” game. I want to learn how to praise Him first, opening my hands and my heart to free the worries from where they’ve settled, allowing Him to replace the empty space with His perfect peace. I want what Philippians tells me I can have — that in the midst of my praying and my praising, a sense of God’s wholeness, everything coming together for good, will come and settle me down. I don’t know what might be weighing on your heart tonight, what fears or unknowns you might be facing. But I do know that His peace is readily available for both of us, that His wholeness will come and settle our hearts and our minds, as we pray and praise and trust. So, tonight, I’m proclaiming His peace — for me, and for you. I’m settling in to rest in it, with thanks. In short, I want to cut distractions and intentionally draw nearer to the Lord. And this year, I want the focus of my heart and the focus of my approach to Lent to simply be this: more time with Him…and not just more time, but more quality time. I hope to do the following, in an effort to be more intentional in my seeking. *Make more time for intentionally reading scripture. I plan to start each day in The Word — before checking e-mail, Twitter, Facebook, etc. I want my time with Him to be a priority. (This is something I’ve already started, but I want to keep at it. Lent helped me find a really good rhythm last year that I moved away from a bit in the months that followed, and I’m hoping another commitment this year will help me get back on track.) In addition, each day, I plan to journal about at least one verse that has impacted me during my reading. I want to really interact with the Word, not just read it and then forget about it for the rest of the day. *Cut distractions. On some days, this might mean watching less TV or spending less time on the computer. Again, it comes back to making my time with Him a true priority. *Take a One-Week Blog Sabbath. I’d like to take at least one blog sabbath during Lent, during which time I’d like to spend more time in the Word and in prayer. 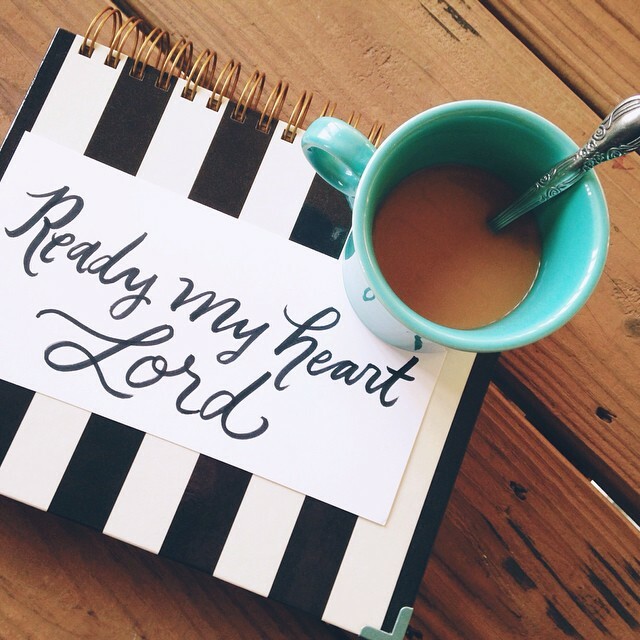 I’d like it to be a time to really pray through some of the things on my heart currently, committing those things to the Lord and really listening to what He has to say about each thing. I hope that through this time during Lent, my heart will become even more in tune with listening, hearing Him, and responding in true faith. *More time with the printed word. I love the ease of electronics, but I interact differently with the printed word than I do with the computer/iPhone screen. So, there you have it…or at least what I’ve fleshed out so far. I’m signing off now, so I can get in the Word. I also want to end each day with Him, too. Do you have any plans for Lent? I’d love to hear about them. Before I share my list, I think it’s important and inspiring to share what Jessi had to say about hers — because the same is true for mine. She said her list was not created because she wants to be BETTER or because she wants to change her life, but because she wants the Lord to change her, and she prays her list will be some of the fruits of that change. So, here goes. Here are the prayers I am praying, the fruits I hope to see in my own life, because of His goodness + faithfulness to work in my heart and change me a little bit more each and every day. 1. I’m going to keep praying boldly about this and not doubting the hope He’s placed on my heart. I’m going to keep believing and trusting and learning and serving until He orchestrates this in His perfect time. 3. Love this creative heart He’s blessed me with, and I want to use it to the fullest. 4. I want this blog to be a blessing. 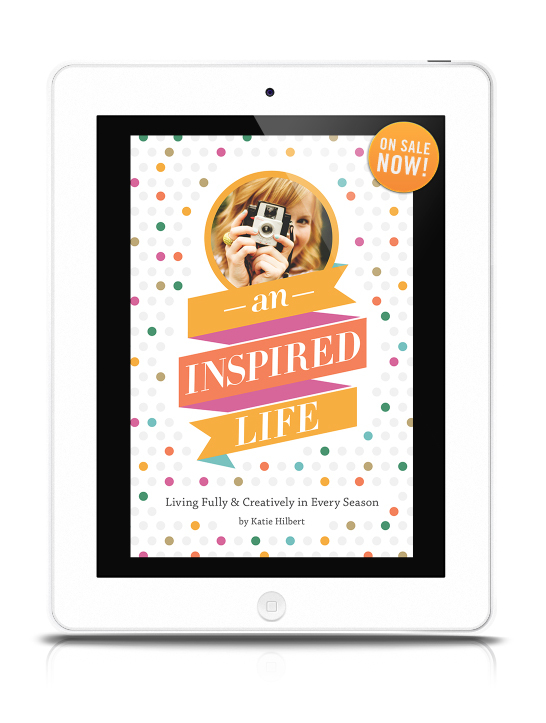 I want it to inspire hope and joy and bring encouragement to hearts that need it. And I want it to become a place where prayers and stories are shared freely, where we come together and spur each other on. 5. Lord, help my unbelief. Grow my faith and my hope bigger + bigger. 6. The heart and soul of this blog. It’s what I hope for myself — and what I hope for my readers. What about you? What are some of the hopes + dreams you have on your heart? What fruits do you want to see in your life?